The December 26, 2004 tsunami was one of the worst disasters in history, killing an estimated 220,000 across the Indian Ocean, including more than 8000 in Thailand and at least 1400 in Nam Khem village in Thailand. 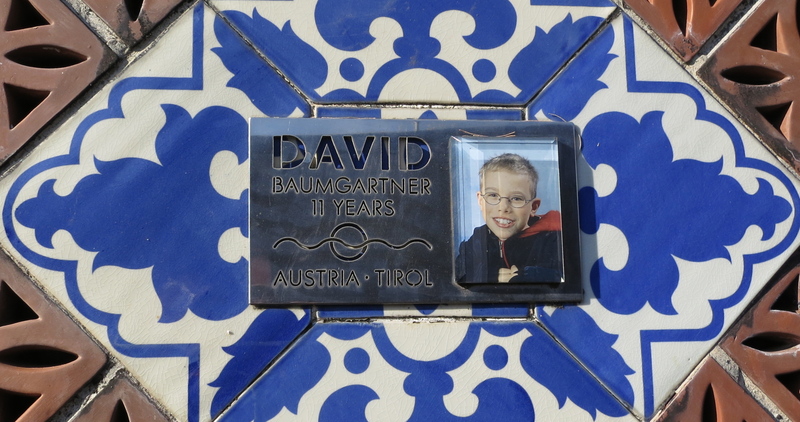 I lived in that area in the 1990s and returned many times. 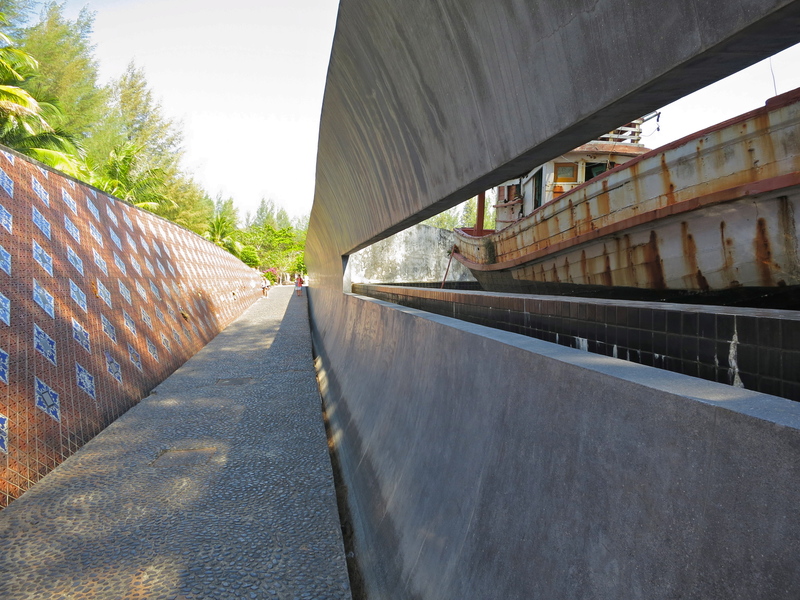 I’ll never forget the scenes of death and terrible stench of bodies after the tsunami, but I also recall the compassion and heroism of people pulling together. 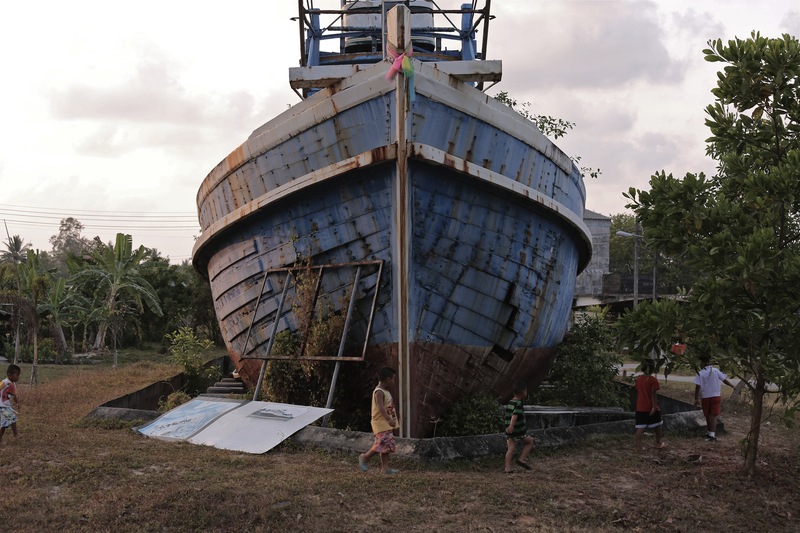 After the tsunami, Thai military helicopters hoisted a stranded ship to join another in a memorial park near a school in Nam Khem village. 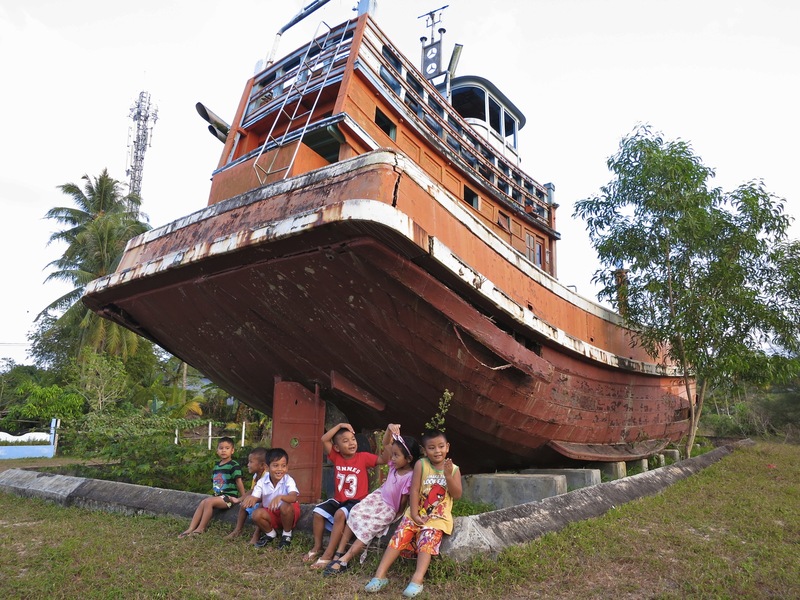 Born after the tsunami, children enjoy playing there among cow dung and birds that nest in the ships. 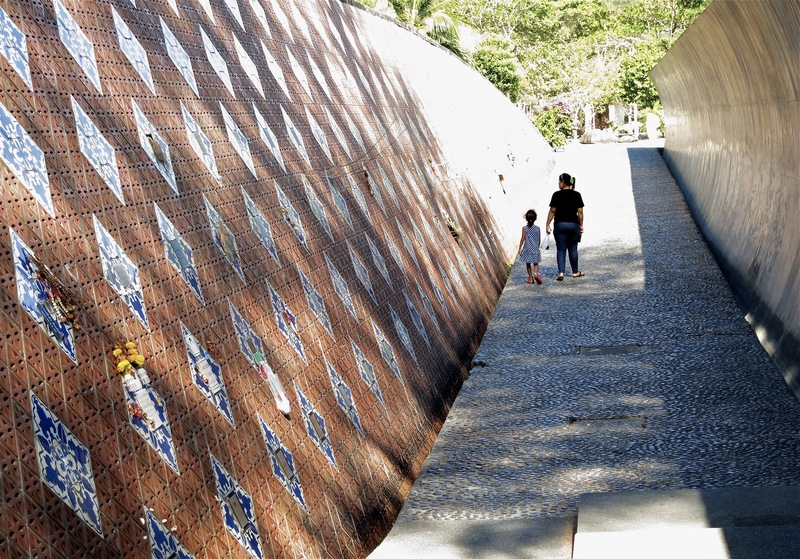 A mother and child visit the tsunami memorial in Nam Khem village in Thailand. Villagers say former Prime Minister Thaksin Shinawatra came to the area after the tsunami and gave everybody 3000 baht. 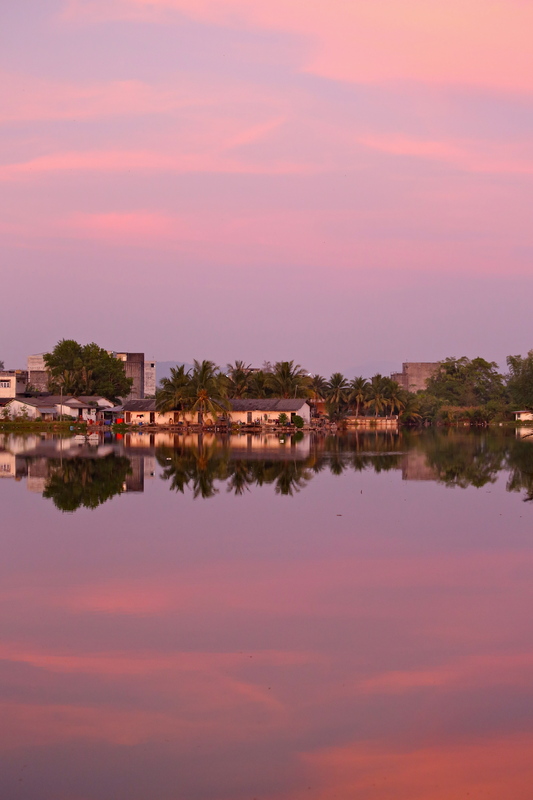 But people now struggle amid rising prices and declines in fishing income and tourism, with only about 100 per day visiting Nam Khem. 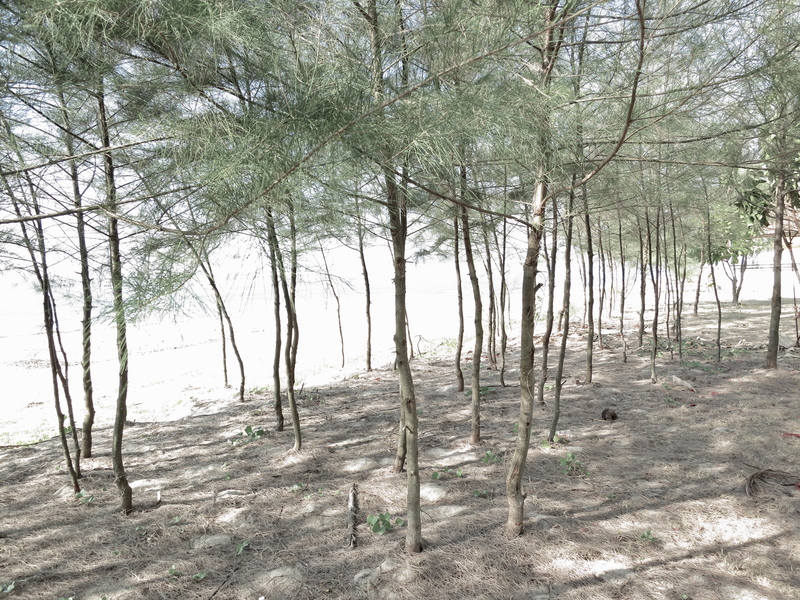 Pomrin Samgongngam, a rubber tapper, fled from Bangsak beach in Khao Lak to a mountain hut. 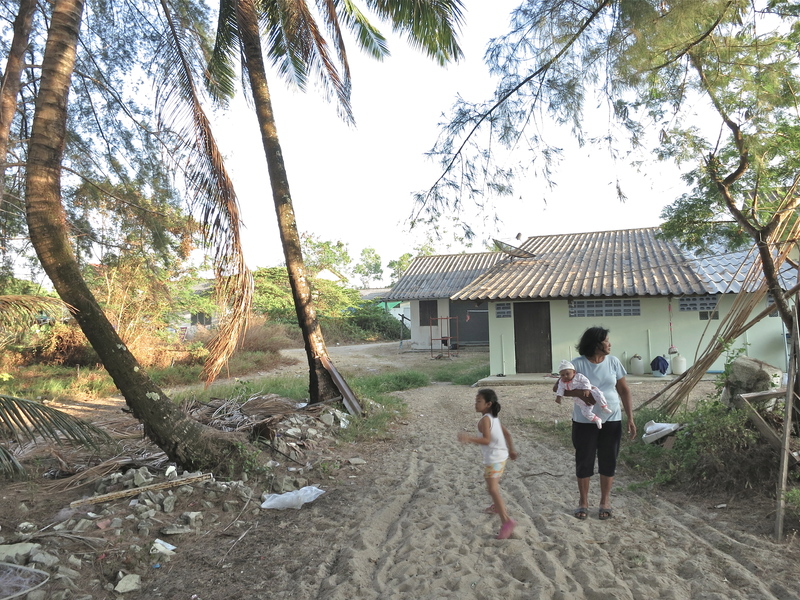 ITV network’s foundation gave her and friends such as “Sookdaa” concrete row-houses for 300 baht per month rent a few kilometers from the sea, but they struggle to pay for flooring, beds, TVs, utensils, utilities and food and clothing for their kids. 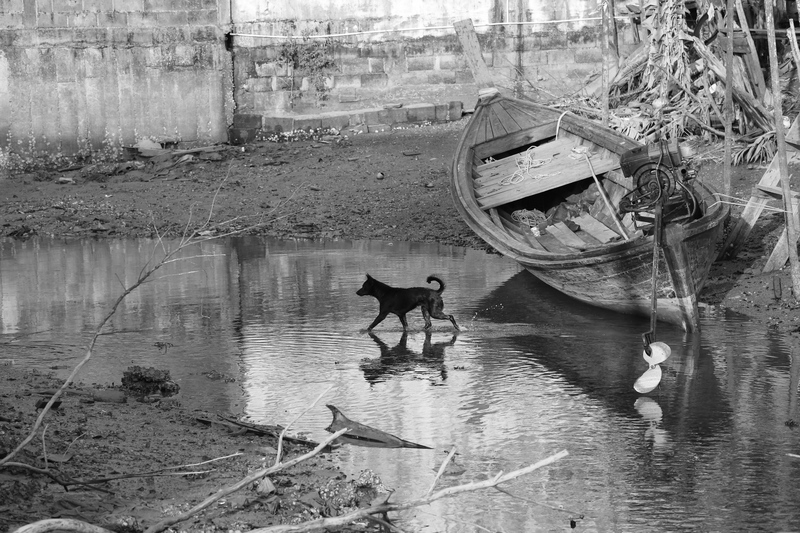 The sounds of birds dominate Nam Khem village, which lost 1400 people on Dec. 26, 2004. Owners of ugly, noisy “bird’s nest buildings” can make 35,000 to 100,000 baht per kilo from Chinese restaurants serving “Bird’s Nest Soup”. 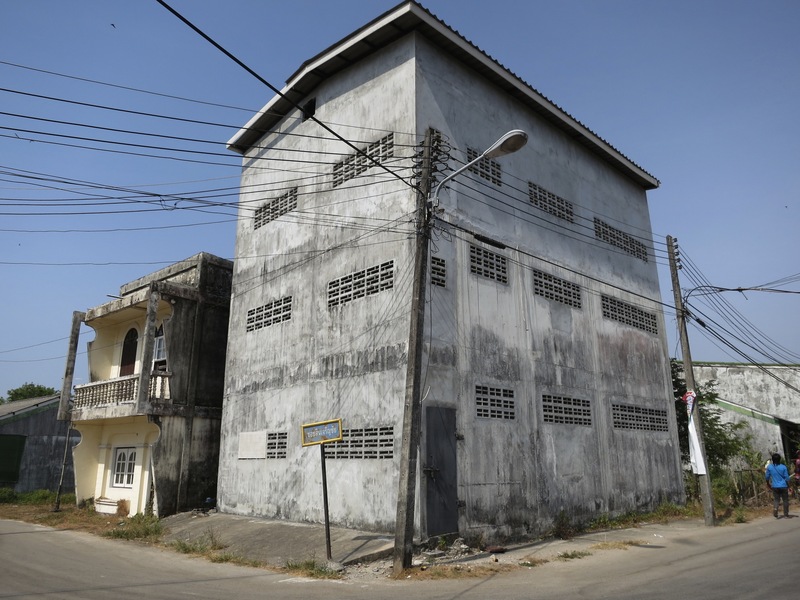 But many traumatized Nam Khem residents say they don’t like the smell and non-stop bird noise. 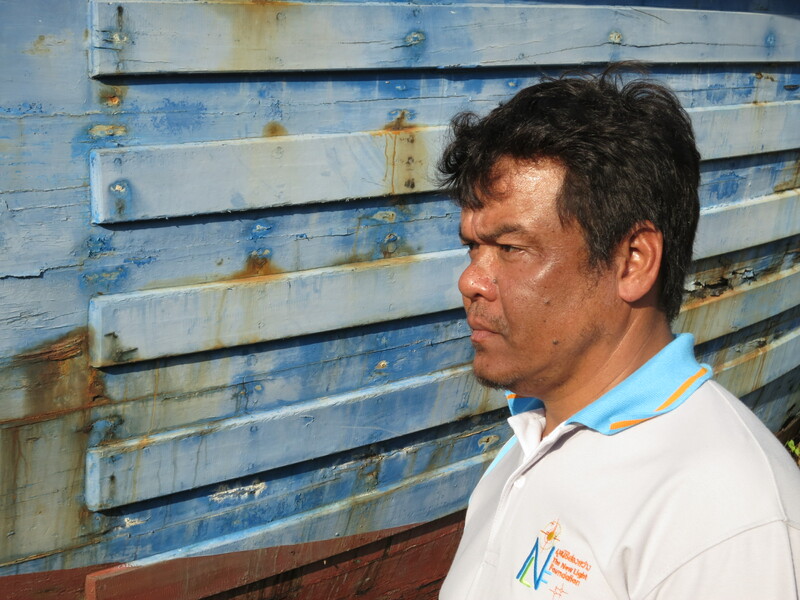 Fishermen say Nam Khem only has about 50 fishing boats, compared with 100 before the tsunami. 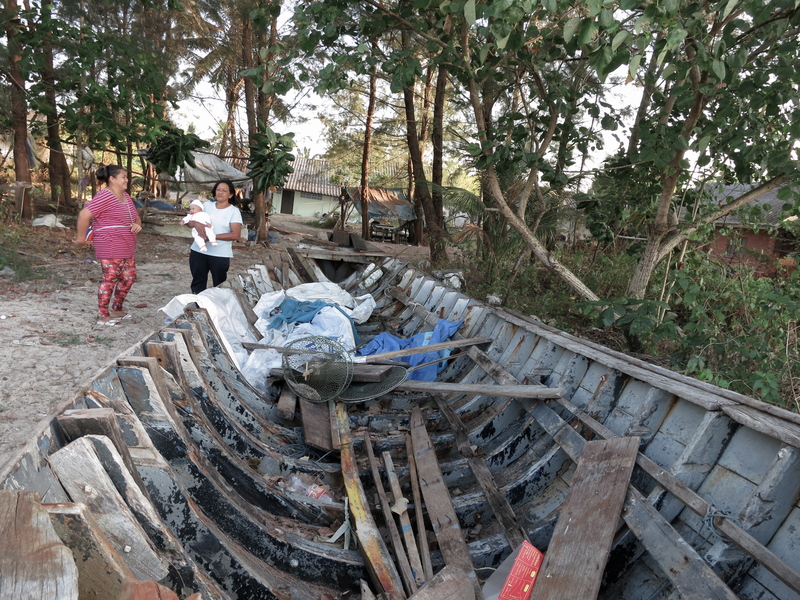 Many must go more than 60 kilometers to find fish, investing 250,000 baht per trip on diesel, ice and other materials. 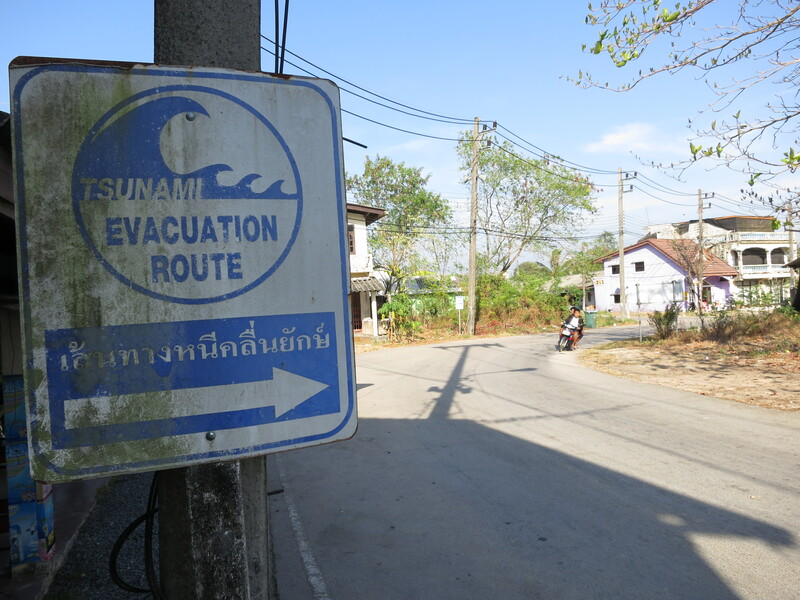 Some locals estimate that about 70 percent of tsunami survivors, fearing ghosts, left the Khao Lak and Nam Khem area for jobs elsewhere. 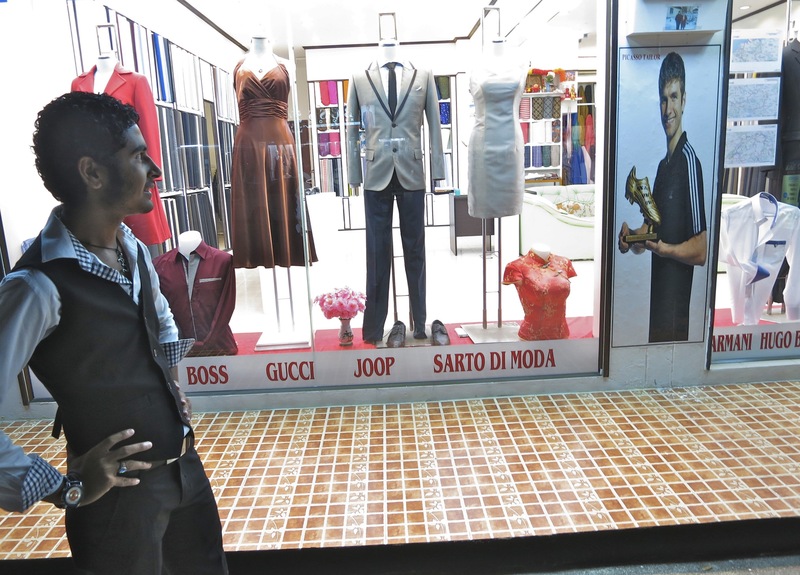 Burmese migrants have taken their place to work in the tourism industry, which is still struggling to recover to 2004 levels. 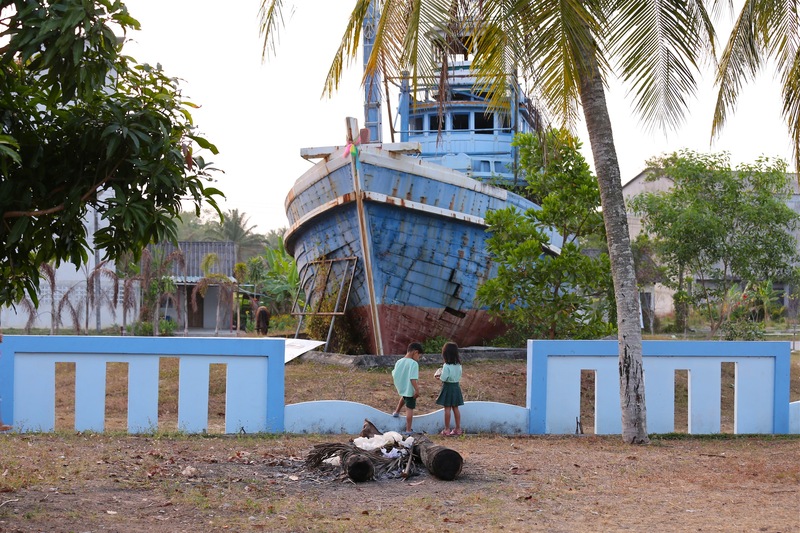 An estimated 2000 Burmese migrants also died in the tsunami, and many survivors were deported and unable to find or identify their loved ones. 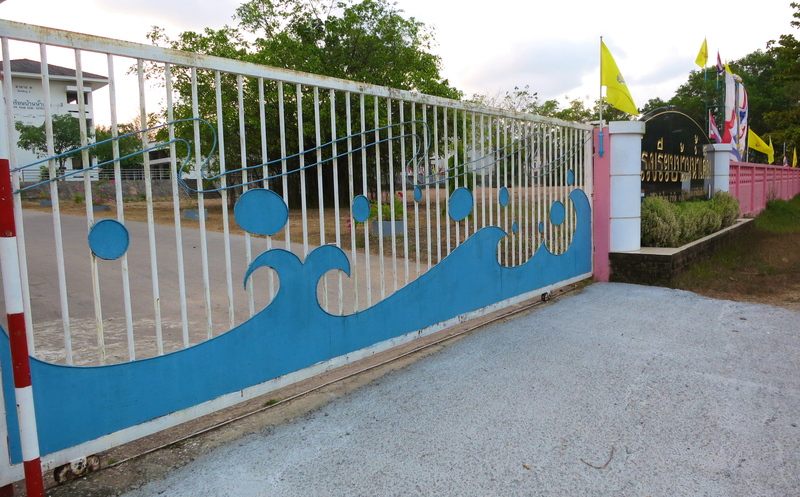 A wave on the gate of a Nam Khem village school reminds students of the Dec. 26, 2004 tsunami. 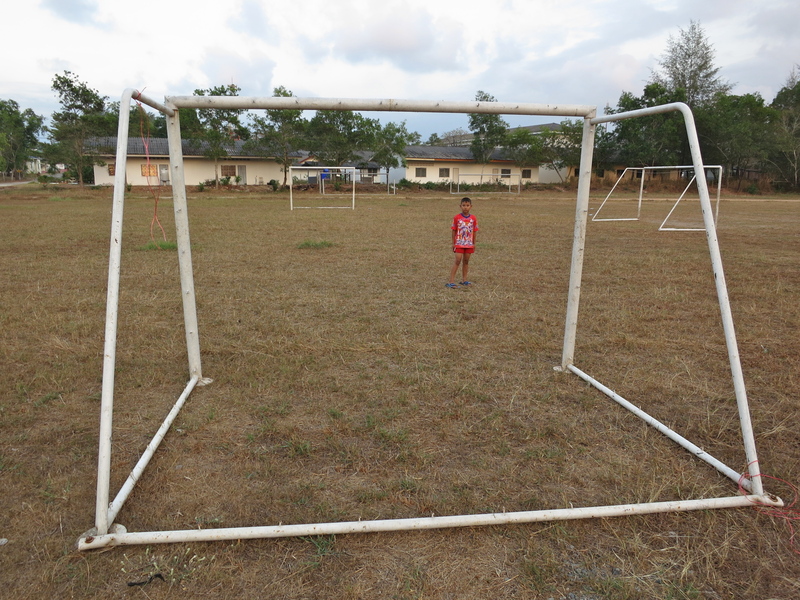 Kids play soccer on a field — the former site of temporary wooden shelters for tsunami survivors. 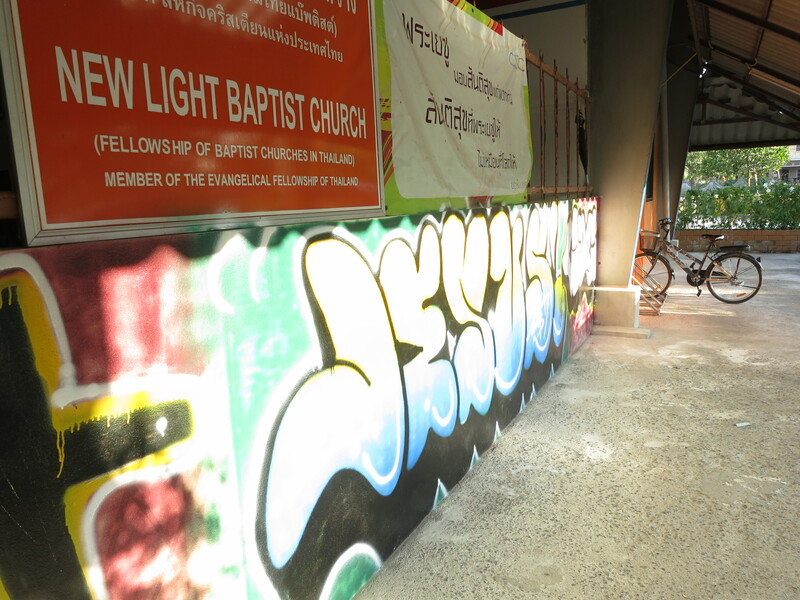 Many children who survived the tsunami now attend a royal-sponsored school along the Petchaksem highway in the Khao Lak area. 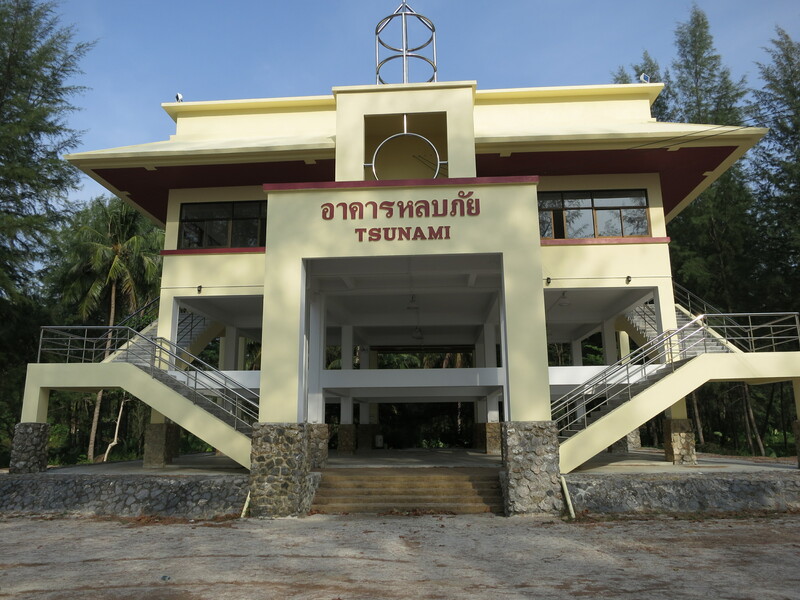 In case of another tsunami, people can run from the beach to the top floor of this shelter in Khao Lak and others in Nam Khem and elsewhere. Tsunami evacuation signs are fading. It’s not clear if they’ll be replaced. 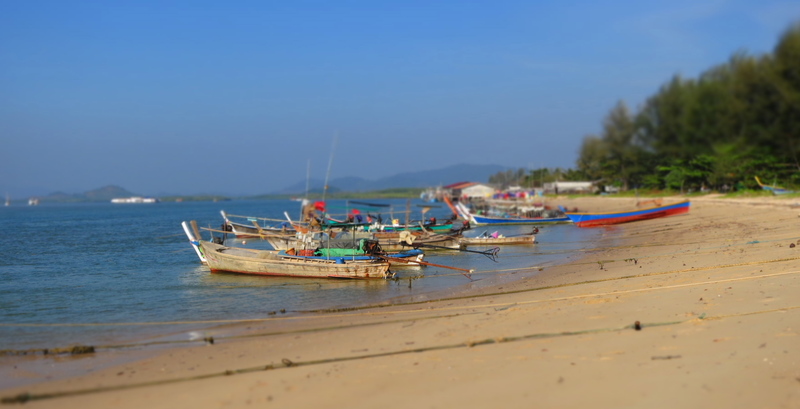 Property values are rising again in Khao Lak. 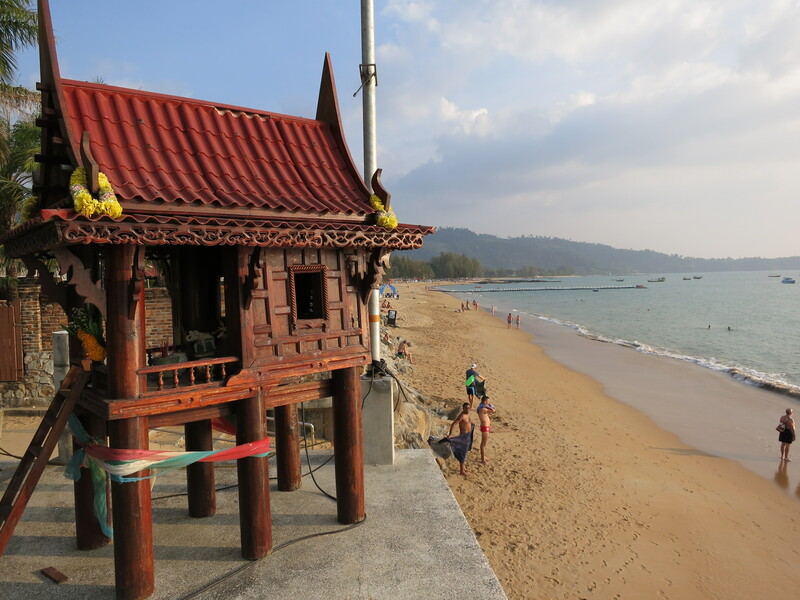 Many resorts have traditional Thai “spirit houses” to placate the ghosts of the hundreds who died in the Khao Lak area in 2004. An elderly couple walks along a beach in Khao Lak that used to be crowded with Europeans before the tragic tsunami of 2004. 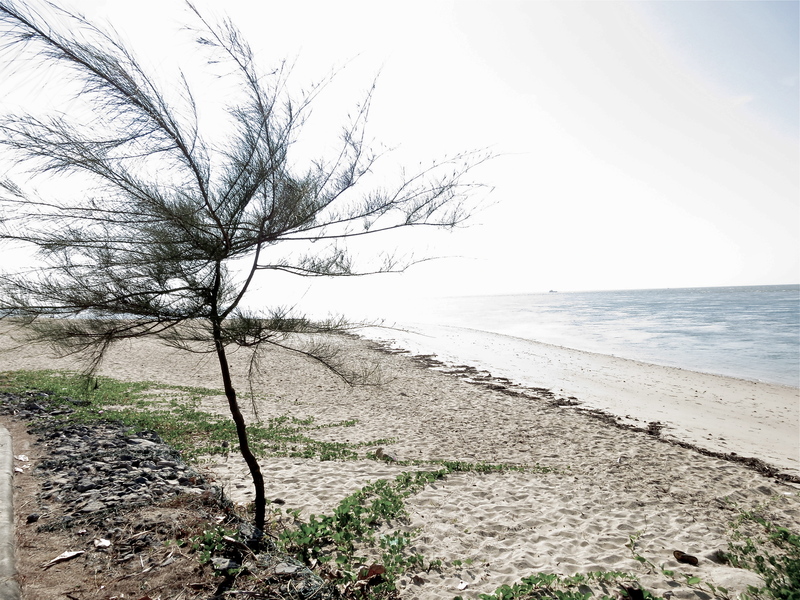 A woman walks on a lonesome beach in Khao Lak. 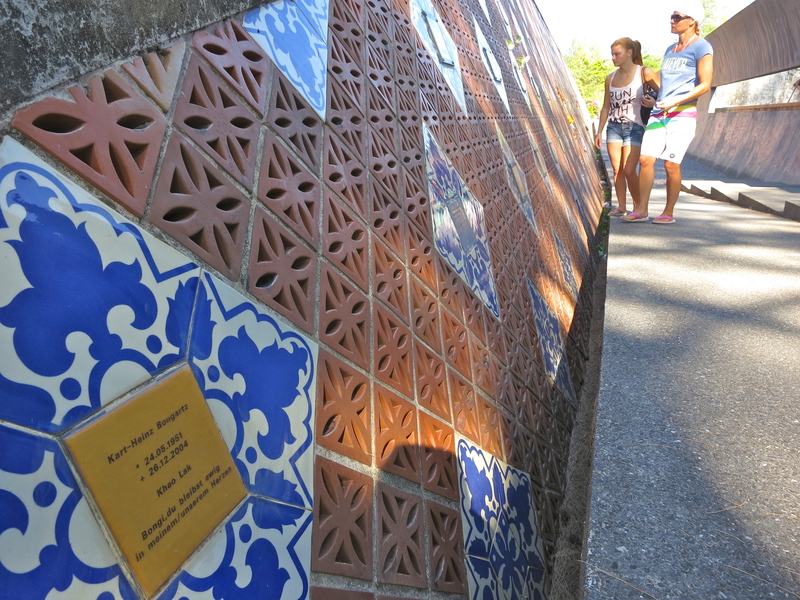 Many victims still struggle to overcome the loss of loved ones, whose bodies were never found or identified. 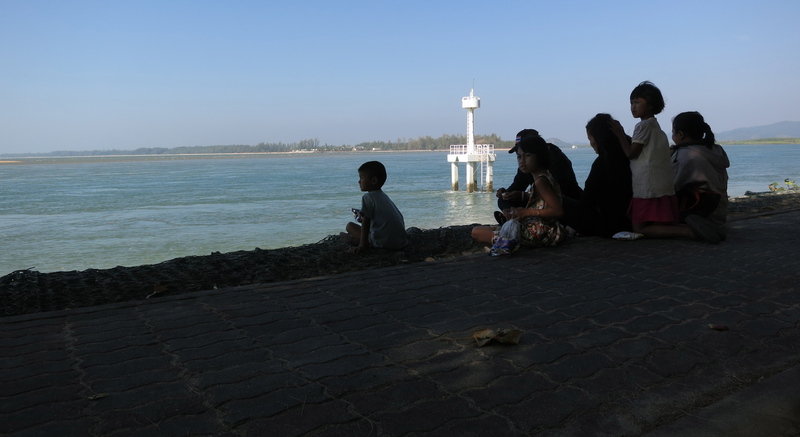 Ten years after the tsunami, Daew and Tham live in his parent’s house, about a kilometer inland from the sea. 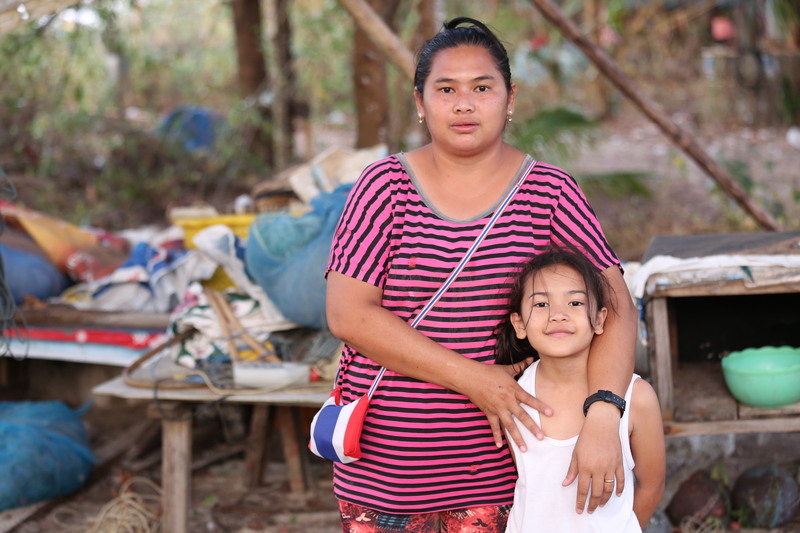 Their daughter Nong Prae, a delightful 6-year old, was born to replace their son Leub who died in the tsunami. Nong Prae likes doing her homework under photos of Tham’s deceased parents and son. Their oldest son Lip, 15, enjoys playing on his computer. They often pray.